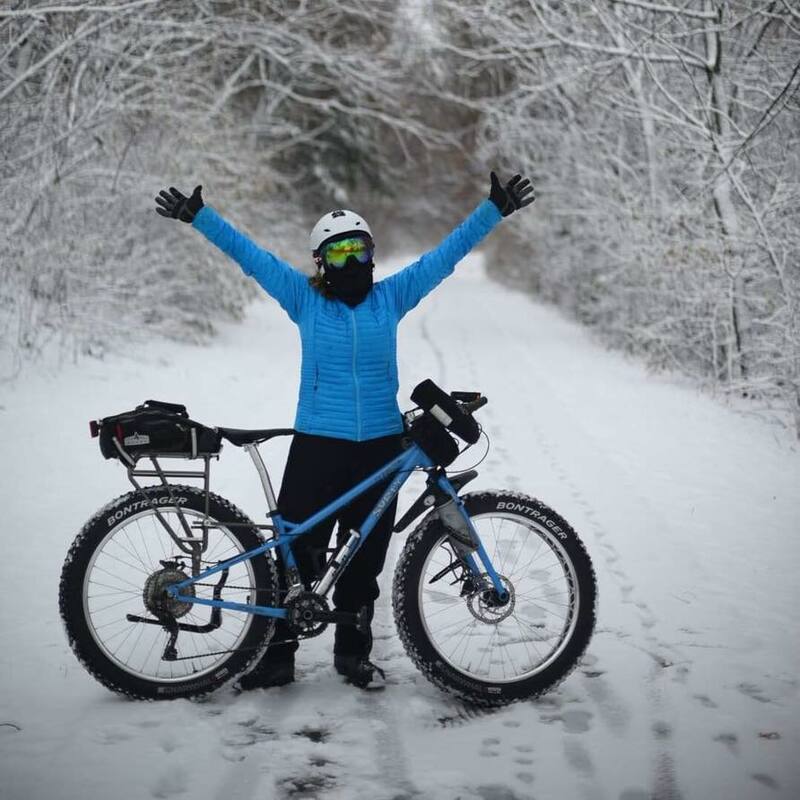 Although she slipped from first to fourth in November, snow doesn’t keep Top Commuter Sarah Knight off her bike. Photo by Matt Pearson. 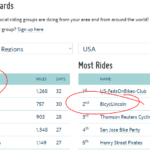 The standings were shaken up in November with Sarah Knight slipping to fourth and Ryan Patrick moving from sixth to first in the Top Commuter rankings. In the “Most Trips” category, Maria Goller held her spot, but Paul Gebers charged from eighth in October to second in November. In terms of most miles, both the women’s and men’s categories were shuffled. 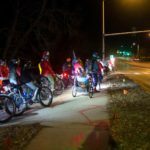 In the groups competition, Goldenrod Pastries Cycling took top honors in “most commute days,” “most commute miles,” and “most commute trips,” but was beat out in overall most miles by Pub Pedalers – BY ONLY 2 MILES! We can’t wait to see what happens in December! Who will be the cold weather champs?